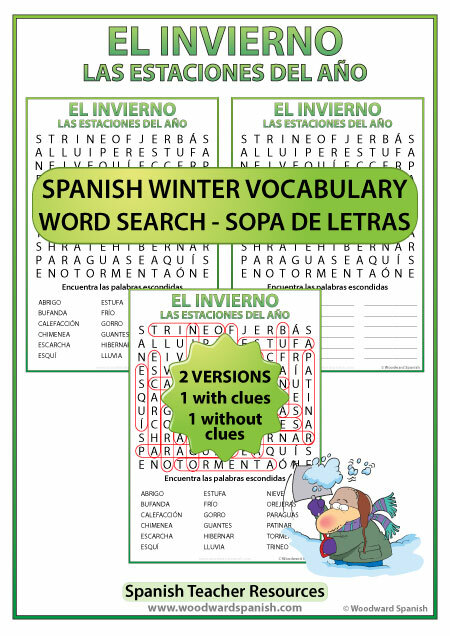 5 Word Searches with Vocabulary about the Seasons in Spanish. 5 Sopas de Letras con vocabulario acerca de las estaciones. 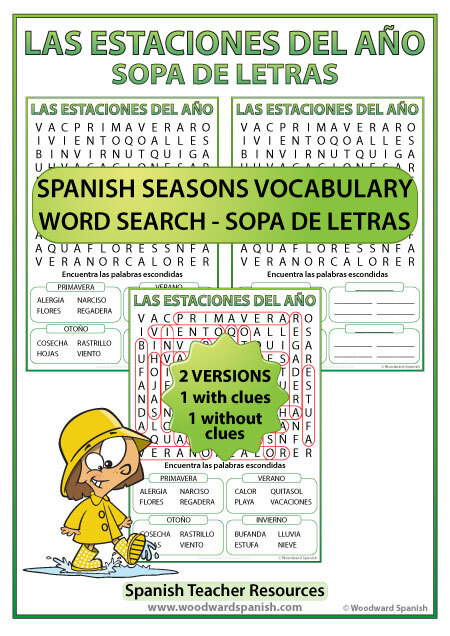 A bundle of 5 Word Search Packs with Vocabulary about the Seasons in Spanish. 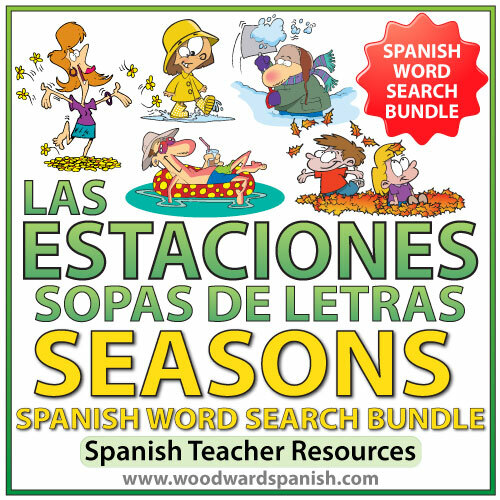 This bundle includes the following 5 word search packs: Spring (primavera) 18 words, Summer (verano) 18 words, Autumn/Fall (otoño) 18 words, Winter (invierno) 18 words, and our mixed Seasons vocabulary pack (las estaciones) 20 words. 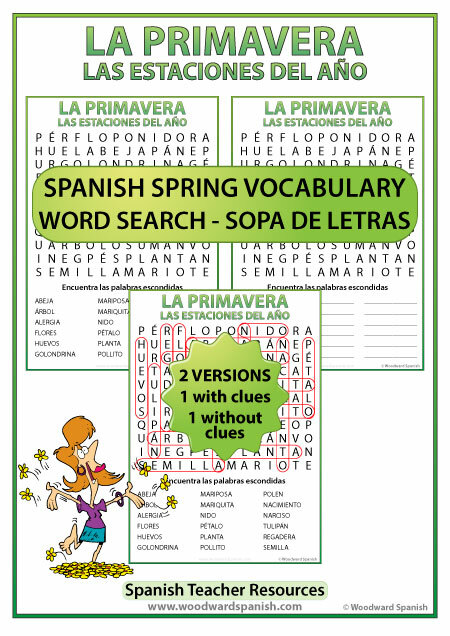 All Word Searches are completely in Spanish without any English on the worksheet. 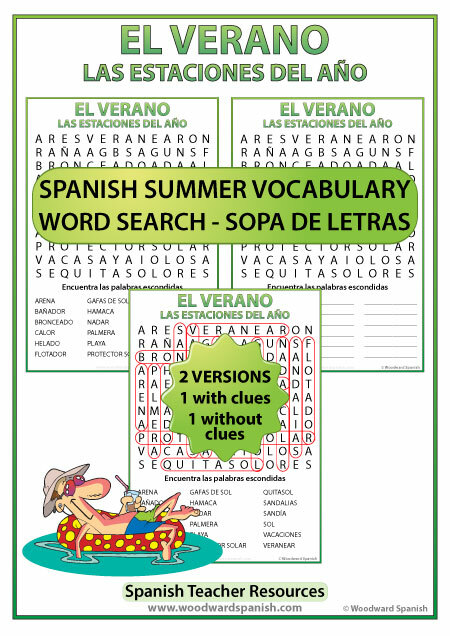 Each pack includes an answer sheet for Teachers with each of the words circled. 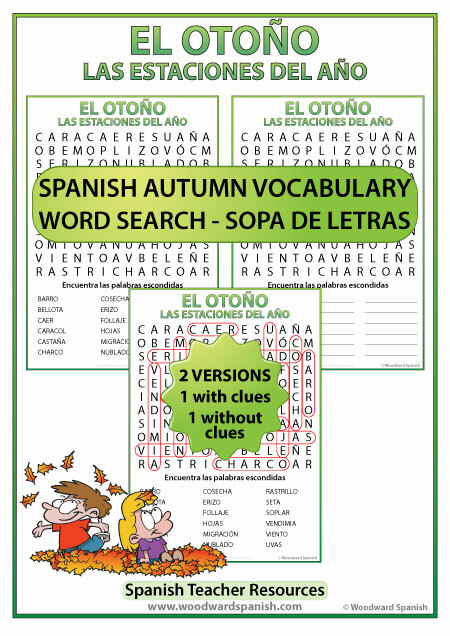 These are ideal for Spanish 1 (word search with clues) or Spanish 2 (word search without clues). Un paquete con 5 de nuestras Sopas de Letras con vocabulario acerca de las estaciones del año.